Amy Winehouse’s Grammy award-winning album is great to listen to. Her persona doesn’t match her voice; she sounds like ‘60s Motown. The different style has a lot to do with the production. She wrote or co-wrote all of the songs on the album. Read the Washington Post review of the album. Check out her website to listen to the CD, watch exclusive footage, and get more information on the artist. The Grammys are supposed to showcase the notable songs for the year. The nominees generally do represent the best of the best. If you crave hearing Aretha do “Respect,” Sam & Dave sing “Soul Man,” Otis Redding’s lament “(Sittin’ On) The Dock of the Bay,” then you are in for a treat because this CD has all that and more. Song after song brings back memories of the ’60s and ’70s powerhouse of music. The Commodores, Marvin Gaye, Donna Summer and the Isley Brothers are just a few of the artists featured. Released to celebrate the 50th Anniversary of the Grammy Awards, the collection features the best of R&B winners. 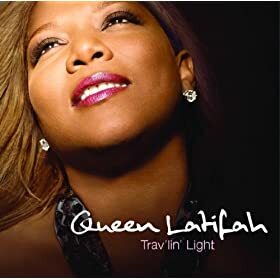 Queen Latifah originally was known as a rapper, but I am pleased to say she has come a long way from rapping lyrics. In 2004, she recorded a collection of pop standards on the Dana Owens Album. In this album, she has expanded her vocal range and interpretation and given us some pre-rock songs that just sound so good. For other information, check out an NPR Music interview with Queen Latifah or a New York Daily News review of the album.